Evening function commences in the main function room from 19.00pm with Hot Buffet watching the US Masters Final. Built around a charming 14th century manor and a beautiful 11th century church, St Pierre, Marriott Hotel & Country Club, is renowned as one of the UK’s finest golf courses. With two contrasting courses – the Old Course and the Mathern Course – it is a wonderful place to stay and play. 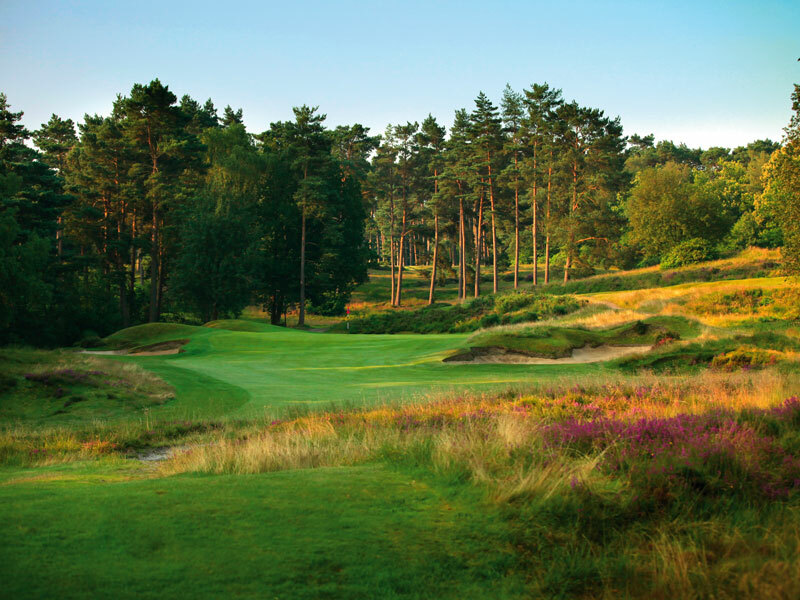 A former host to the Curtis Cup, the British Masters and the Solheim Cup. The Old Course is built around an 11-acre lake and studded with many ancient trees, including a giant 400 year-old chestnut that dominates the 2nd hole. It is a delight to play and can claim one of the finest finishes in golf with a thrilling 235-yard par-3 18th including a shot over water to an elevated green protected by sand. The Mathern Course is shorter than the Old. The signature hole is undoubtedly the 14th, which crosses two rivers, but there is lots to enjoy, however you play. As well as exceptional courses, you’ll find a state-of-the-art Golf Academy including a GC2 Golf simulator where golfers of all abilities can hone both their long and short game. 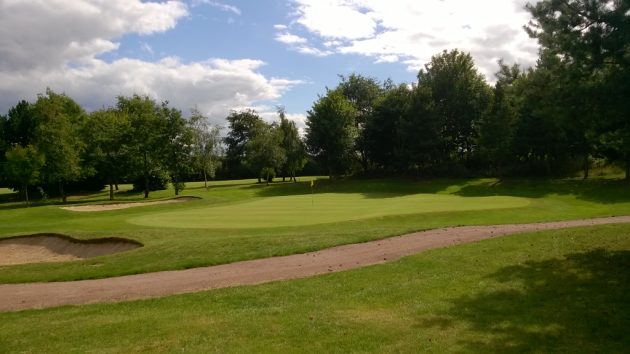 This article The Best Golf Courses In Worcestershire appeared first on Golf Monthly. Take a look at our list of the best golf courses in the county below. 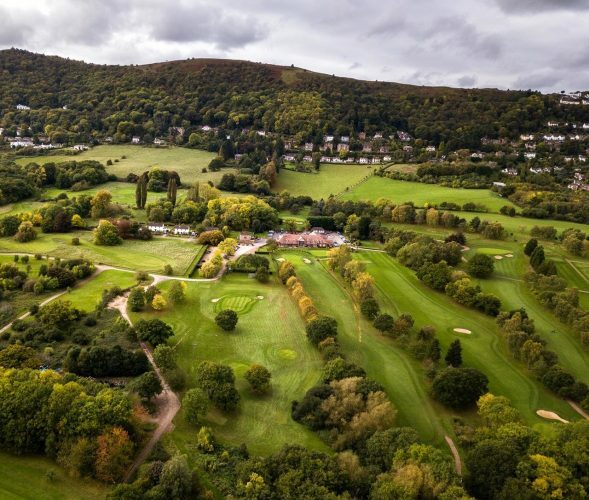 Sandwiched between Worcester and the rolling hills of Wales, Herefordshire provides some truly inspirational and stunning golf so bearing that in mind we have delved deep into the county to discuss our favourites. 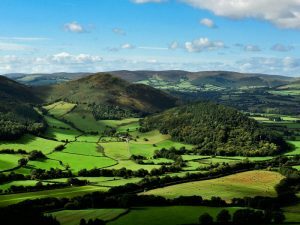 From the lofty 18 holes at Kington to the glorious woodland of Ross-on-Wye, Herefordshire is a county you should think about visiting on your next golf trip. 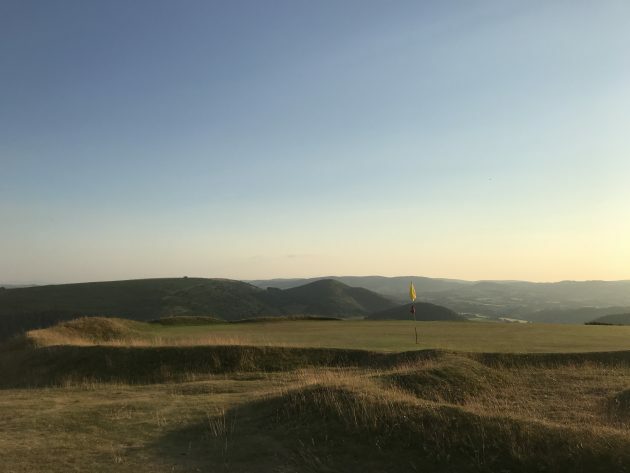 The highest 18-hole course in England, Kington is approached by a steep, narrow lane which sets the pulse racing at the same time as making you fear for how heart-threateningly hilly it might be to play. Happily, this is not the case at all, and barring a couple of gentle climbs here and there, this bunkerless, linksy and most natural course runs along the top of, rather than up or down, Bradnor Hill. A problem with golf course reviews is that in the writer’s desire to recommend, there is often a tendency for overuse of superlatives and hyperbole. For once, this is impossible to avoid because the views over the Brecon Beacons, the Black Mountains and Hergest Ridge, are breathtakingly good. No matter how you play, it would be hard to imagine anyone not enjoying every yard of the walk. Despite the lack of sand and its modest length, the course is protected by the need to approach its greens from exactly the right angle. From the uphill drive at the first where you need to stay right, to the tempting driveable par-4 closing hole, there is also great variety and the five short holes are particularly strong. 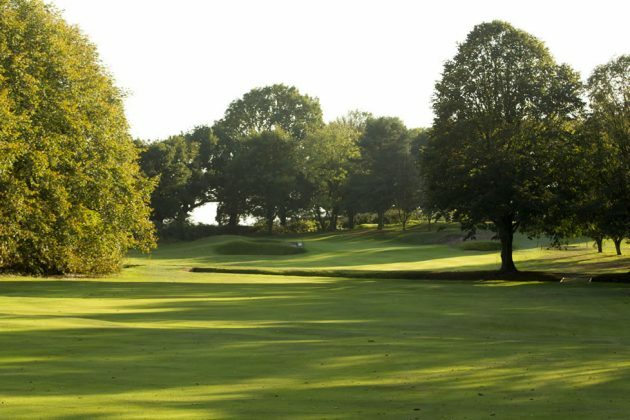 Starting with an innocuous par-4, Leominster moved to its present location just before the Second World War and began to take shape as it sits today during the 1960’s. Originally, it was a nine-hole layout but was eventually extended to 18 in 1990. Not particularly long according to the yardages, these numbers can be immensely deceiving because of the sheer variety in terrain from highs to lows. The three holes from the 6th to the 8th are known as their very own ‘Amen Corner’ with the par-3, 196 yard 6th being of particular difficulty. All in all, this is an enjoyable course that will test your game nicely. Founded in 1896, The Herefordshire Golf Club has moved location several times before eventually shifting to its current site in 1932. Known as the Ravens Causeway, the site offers incredible views of the Brecon Beacons, Shropshire Hills and the Malverns so if visual pleasure is what you are after on the golf course, then The Herefordshire is the place for you. In some circles it is described as the ‘Gleneagles of the Midlands’ and considering James Braid is the man responsible for its design, it comes as no surprise that the course has picked up that nickname. In terms of signature holes, the eighth is an absolute monster. Measuring 460 yards off the back tees, this par-4 is a potential score-wrecker every time you play it. According to their website, where each hole has its own set of statistics, the eighth has been played 13,343 times and there have been only 57 birdies. Take a par and move on fast. One of the youngest courses on our list, Burghill Valley was founded in 1991 just north of Hereford where you get occasional views of the stunning Brecon Beacons. Nestled in lovely woodland, golf here is a truly enjoyable experience and the one hole that truly stood out more than others was the par-4 ninth. 400 yards off the whites, this hole bends itself around a small lake on the left which leaves a tricky approach shot into the green. 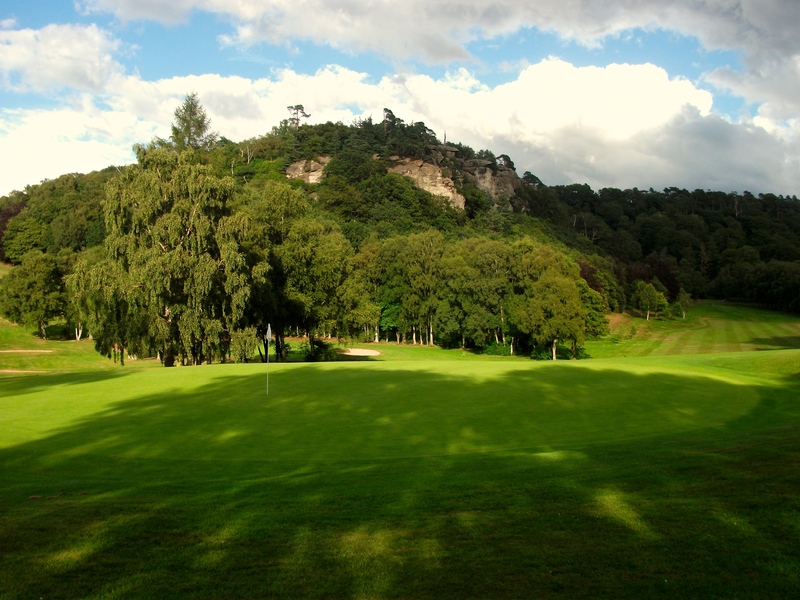 Designed by Ken Cotton and opened for play in 1967, the course at Ross on Wye is set across undulating terrain in the hills above the Wye Valley. It’s a tight, tree-lined layout featuring an abundance of wildlife, including the odd Muntjac deer. A blanket of daffodils and bluebells covers the woodland floor through the spring then there’s an amazing spectrum of colours as the leaves turn in the autumn. 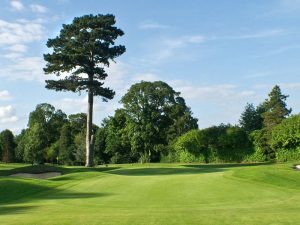 This article The Best Golf Courses In Herefordshire appeared first on Golf Monthly. Played it last week – almost every hole has some kind of feature of stunning views – very hilly course that we would recommend a power caddy or buggy for the not so fit. Every green was consistent to the next and run true and in fantastic condition – Possibly the best we have played on this summer – Lush green and well looked after. Lots of holes with much danger but at the same time much reward if taken on. There is everything from lakes, ravines, hazards, OB`s, streams and deep overgrowth if shot isn’t executed correctly. With 5 par 3`s on offer, I would truly say each one is difficult and well designed with the traps in perfect areas avoid them and test your putting ability as not one has a flat landing zone and very undulated. Highly recommend this course for a day out or even a stay and play and include one of there other fantastic courses – Pop in the Society drop down page on society deals and look at what deals can be had or contact us for more and we can sort the right price out . Team GG was invited to join the Samlet golf society on a fabulous sunny Sunday at PeterStone Lakes Golf Club, been a few years since we last played there. The warm welcome we received from the staff was very nice to say the least. 38 golfers arrived early for nice food and beverages before teeing it up from 10am. 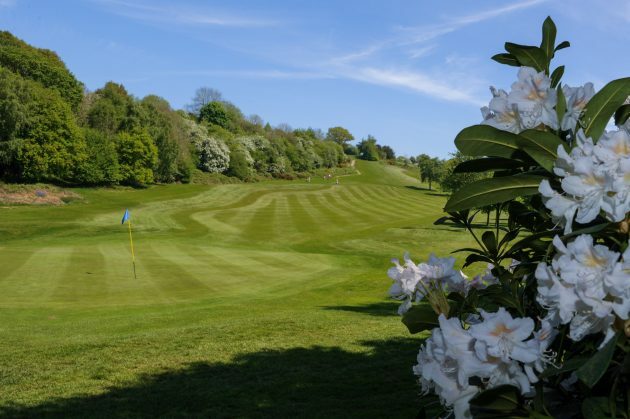 Load of risk and reward holes and many that will catch you out if club selection isn’t chosen, the society play medal and stableford and offered prizes for each hole making the day more exciting and each shot meaning something. Would recommend this venue to small and large groups and they can cater for over 100 plus guests due to the size of dinning facilities and layout of course. Invited to review club and course recently and very impressed with condition of course to say the least (Greens possibly the best around after heat wave we have been encountering). Welcomed by Erol and his staff to a very friendly atmosphere and well established venue. Being a very flat course and not much of a walk between tee boxes its very well designed and set out, a few driveable hole and a few very long par 4`s specially if played from white tee boxes. Very welcoming, staff were very friendly and the food was also good. A lovely course with friendly members, so much so that I joined. Machynys Golf Club is the youngest course ever to be awarded an R&A championship. 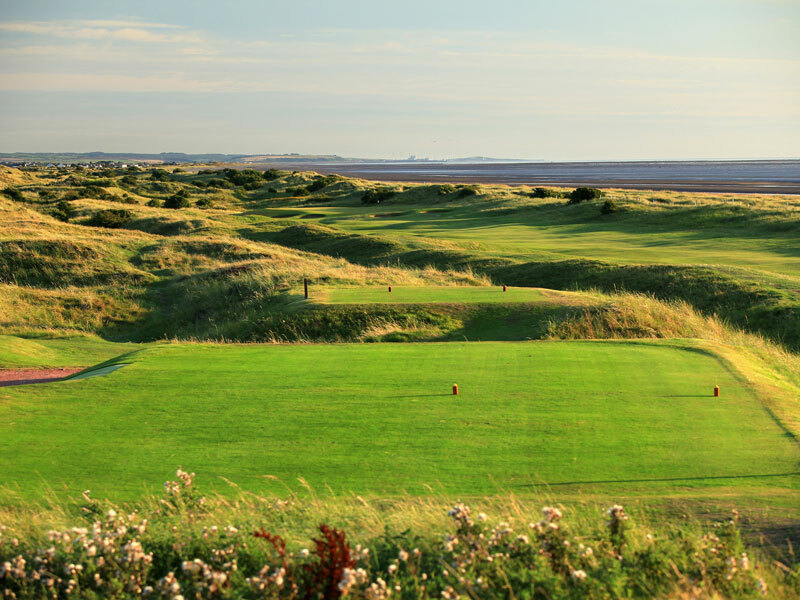 But, whilst Machynys represents a true test for the lower handicapper it is still a thoroughly enjoyable course for the higher handicapper and a corporate and society treat. This becomes possible by utilising up to five tees per hole so the difficulty factor of the golf course becomes the player’s or organiser’s choice making it the perfect venue for your corporate or society golf day. November seen a decent turn out at Glynneath Golf Club on Monday 6th (12 Players arrived 09.30am). Welcomed in to the very nicely laid out lounge by the golf manager Tim Cole. Overlooking the 1st tee we enjoyed coffee & fresh orange, this followed with a bacon bap for each of the group. Weather was very kind with blue sky’s above, leaves dropping from the trees with light winds is all you could hear. The course is hidden on amongst the valleys of Glynneath, with views around the well laid out course very nice to say the least. After playing several holes, it was very noticeable that much work was being carried out around the course. Drainage was much better than the last visit. Tee boxes in good condition considering the rain that had been present for several days prior. Almost all the greens run true to the eye and in very decent condition. It was nice to see Tim driving round the course and offering refreshments whilst we played the full 18 holes. This gives a very nice touch and hope it continues going into spring/summer months. If you require a buggy to get around the undulated course, there also at a very reasonable price to hire. Several scenic holes, 3, 9, 14, 15 & 16 I would say have much to offer. Many also have two teared greens that makes the club selection very important to come away with a birdie or par. Would advise any golfer to take a visit and recommend golf society groups to book a day away, we look forward to a speedy return. After the game we enjoyed a few drinks and game of snooker. Food is very good and offer splendid package deals. Contact us today for more information, or just fill out the simple enquiry form located under society offers. So the last Friday Golf Society rocked up for their annual Match Play having completed another successful summer series, anticipation was building as for the next three days we get a small taste of what being on tour might be like. Upon arrival we was met by the golf services team who tagged our bags then showed us around making us all feel so welcome by the way that was the last time I touch my clubs (apart from playing with them) until I put them away on day three. Roman Road was our first test which was in excellent condition, especially the greens that were running true and fast – also very difficult to read! Fairways were also very good and the rough was very punishing – so stay on the short stuff if you can! The course had a bit of everything from wide open fairways to some real tight golf holes that need very careful course management at times. The Match Play was a won by the Reds, which did have our handicap secretary playing for them and it didn’t go without notice that a few of the Reds were off their new improved handicaps! (bandits) Our accommodation for our two night stay was the Coldra Court Hotel which is off site but only a few minutes’ drive away from the courses and they actually provide a shuttle service that we took advantage of the following day, as it seem like the Yellows were drowning their sorrows to the early hours! Check in was amazing with 14 golfers all turning up at once and along with other guests arriving at the same time reception was well manned and took no time at all to get us all checked in and our evening meal pre-order list was waiting for us too – there was a slight issue as some of the guys were checked in to double rooms but the hotel staff rectified it straight away to the relief of their roommate. Dinner for both nights was the Rib Smokehouse and Grill with great décor and food alike, service was swift and smooth and kept our glasses top up, although breakfast was a bit of a slower affair when it comes to getting tea and coffee to the tables. You couldn’t fault the friendliness of the staff and the fitness facilities were well equipped. Day two saw the whole society all getting the shuttle bus to the mecca of golf – The 2010 – now from the moment we were met by the golf service team until the moment we got back on the bus it had the wow factor. A full guided tour of the club house along with a few 2010 stories just to add to the occasion. The locker room, well what can we say very elegant but was surprised with the mood lighting, now we was allocated a locker each, I was lucky enough been allocated Phil Mickelson and when chipping in on holes 3 and 9 It left me think did the locker rub some of Phil’s magic off on me? They have a well stock Pro shop and the lads got well in to the merchandise so well worth a visit, now with the tee times looming we was whisked of VIP style to the range for our warm up – the free range balls went down well and was surprised to see the greens slightly slower than Roman Road and just slightly easier to read. The course itself is a gem which was in excellent condition and every hole seemed to be breath-taking! Be warned it’s a long walk and took us 5.5 hours to play but the well-stocked halfway house was just what the doctor ordered. 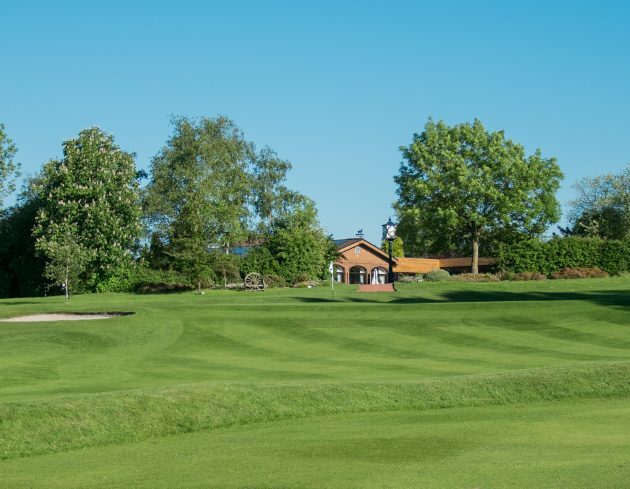 A little tip is go one club up for all shots on this course it seemed to play long on every hole, this was soon worked out by two of our guys who both nearly got a hole in ones on our nearest the pin – one knocking it to within six inches only to be beaten by the group behind! Having finished on the superb par 5 18th with a testing third shot over the lake to an elevated green where even if you was slightly short you just rolled straight back down in to the waiting lake, it was time to have a post-match pint while the golf services team cleaned and transported our clubs to the Montgomery ready for day three and for us it was time to head back to the hotel for some well-earned R&R. Day three and the Montgomery which having played The Montgomery in Marrakesh I was looking forward to comparing the two. It started off really well and the third par 5 for me is one of the breath-taking holes I have played to date, it’s a hole where a well-placed tee shot gives a nice downhill second that if correctly executed leaves the average golfer a nice little pitch in to the green. Unfortunately the weather was against us and the heavens opened and play was suspended on the seventh. The disappointment of not completing the round soon turned to joy when the rain check vouchers was offered and the realization that it was an excuse to return again to what was a magnificent golf destination with great staff, great courses, great practice facilities and at a great price thanks Generation golfer! Team Generation Golfer attended Creigiau Golf Club for the first time Monday 9th October 2017, very impressed to say the least. If your looking for a challenge with great views and reasonably priced day out? Then this Golf Club has it. Great winter and summer packages on offer for all ages and gender. Having creigiau linked with us at generation golfer we know, many golf society groups will be taking up on offers going forward. Bar prices also reasonable and food excellent, new society links being designed at present and hope to see you soon check out Creigiau Golf Clubs Winter/Summer packages and day rates.